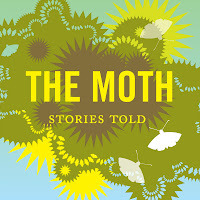 I subscribe to The Moth, and had previously selected all episodes to be sync'd to my iPhone. Recently I found myself short on space, so I wanted to tell iTunes 11 to stop doing that. Previously, it was a simple case of multiple selection in a list and uncheck, but with iTunes 11, it looked like I was going to have to do it all by hand... for over 200 episodes! By playing around, I found that if you command-click on a checkbox, it has the effect of un/checking all the checkboxes in the list. This made things more manageable.